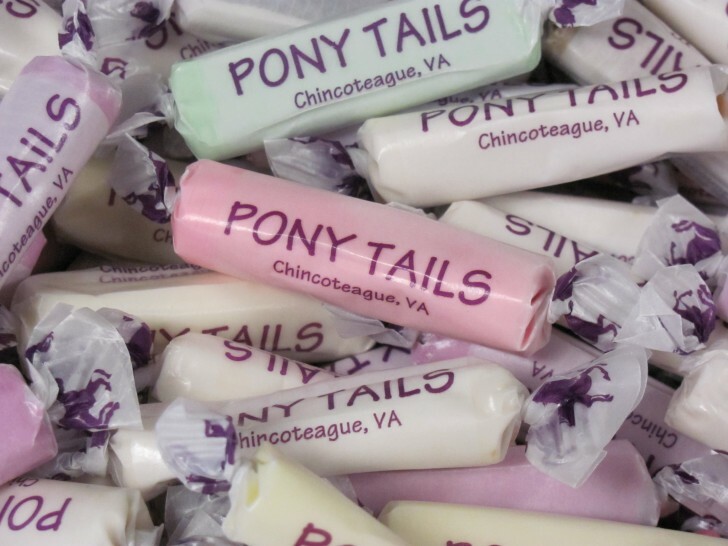 Enjoy one pound of Chincoteague's favorite salt water taffy! 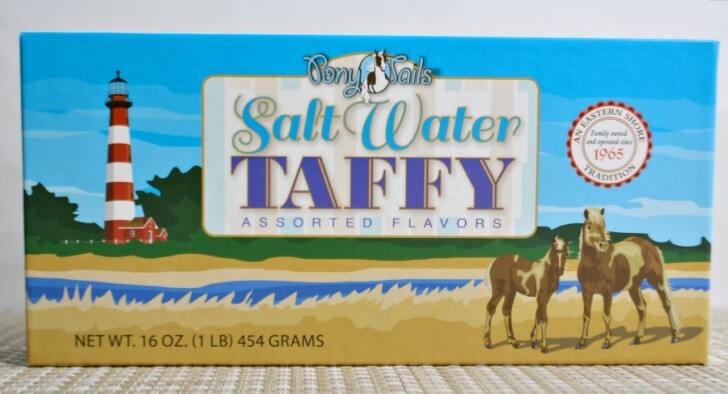 Pony Tails taffy will ship in an attractive one pound gift box filled with an assortment of flavors. Our flavors include: vanilla, chocolate, peanut butter, orange, lime, peach, licorice, peppermint, spearmint, strawberry, banana, coconut and rum. Please note that boxes are randomly assorted and may not contain all flavors listed. If you would like specific flavors, you can pick your own under 1 Pound Pick-Your-Own Pony Tails Taffy.